Why Tanzania? Serengeti. 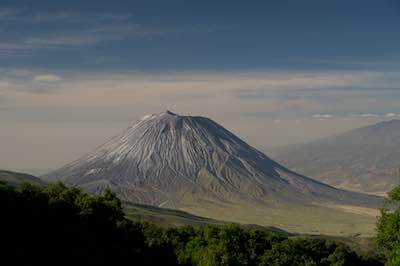 Ngorongoro Crater. Olduvai. Great Migration. Zanzibar. Selous. Ruaha. 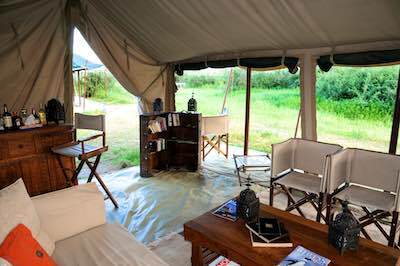 Here is a selection of our best-selling Tanzania Safaris & Extensions. 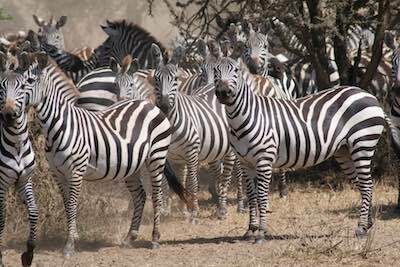 Of course, there are lots of options & permutations... so contact us to tailor-make a safari just for you. 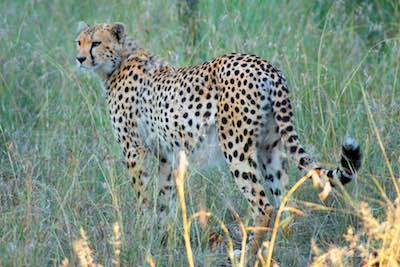 Serengeti - Big Cats & The Great Migration (of National Geographic fame). Ngorongoro - World Heritage listed Crater ecosystem & endangered black rhinos. 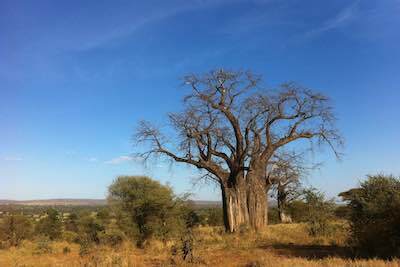 Tarangire - semi-arid ecosystem dotted with baobab trees, home to large elephant herds. Lake Manyara - World Biosphere Reserve, particularly interesting for birders. 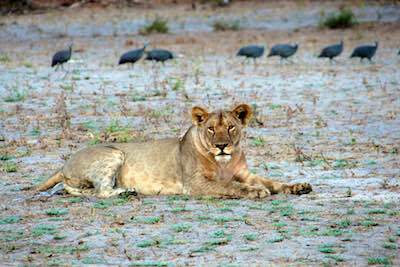 Selous, Ruaha, Katavi & Mahale - Wild & remote. A true wilderness experience. Home to African Wild Dogs. Chimpanzee Treks. 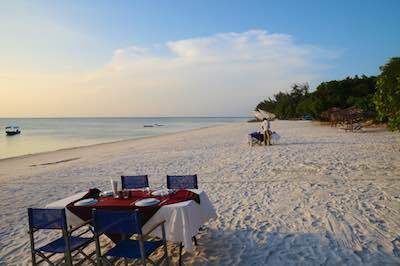 Zanzibar, Pemba & Mafia Islands - Stone Town & culture, tropical white sand beaches, snorkelling, whale sharks & scuba diving. 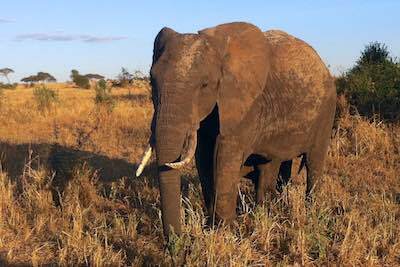 Safari Highlights: The Migration, Big Cats & Africa's Big 5: Lion, Rhino, Elephant, Buffalo, Leopard. Is this Safari for me? 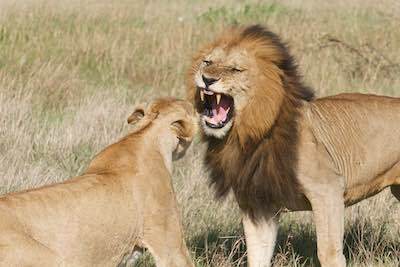 For the first time safari-goer who wants Tanzania's famous highlights. 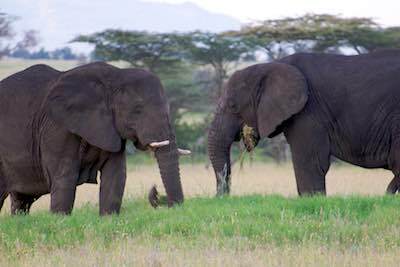 Tarangire: Semi-arid ecosystem, baobab forests & large elephant herds in season. Lake Manyara: World Biosphere Reserve, particularly interesting for birders in season. 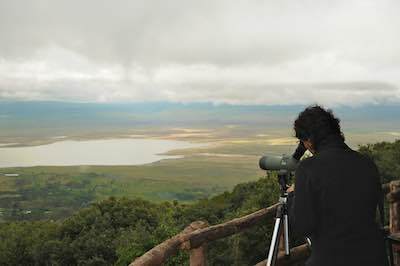 Ngorongoro Crater: World Heritage listed, 20km wide Crater, with resident wildlife including black rhinos. Excellent Big Cat sightings. Serengeti: Abundant Grass Plains stretching to the horizon. Big Cats: lion, leopard, cheetah. Famous Wildebeest Migration, & wildebeest calving in season. 7 Option to visit Olduvai Gorge: the "birthplace of Humankind". See a variety of fossils, including ancient hominid footprint casts at the small Leakey Museum. 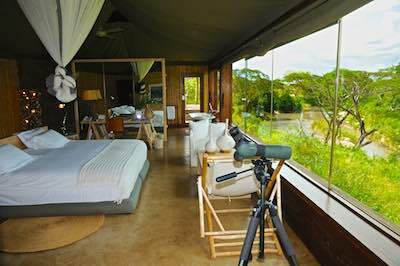 Safari Highlights: Exclusive, remote wilderness. 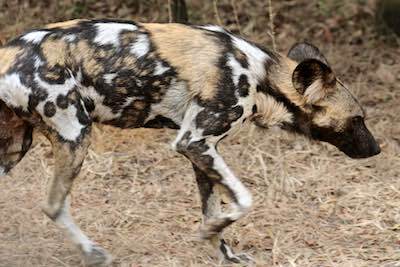 Best chance to see Wild Dogs. Is this Safari for me? 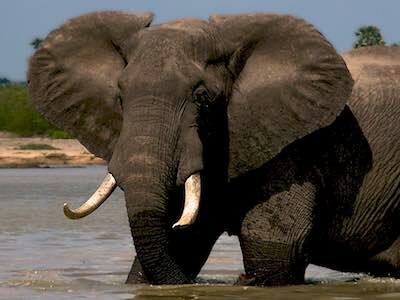 For the safari connoisseur who wants to experience Wild Africa - by vehicle, boat & foot. Ruaha: Vast wilderness. A unique transition zone from Eastern to Southern African species. 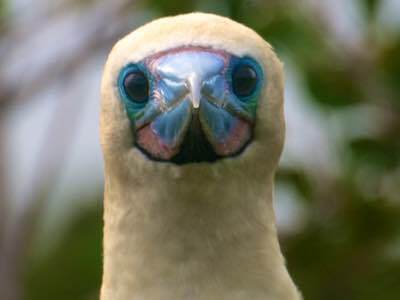 Spectacular birdlife. 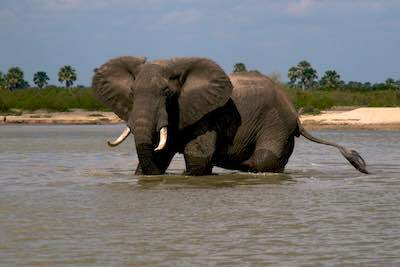 Selous: Africa's largest Game Reserve. 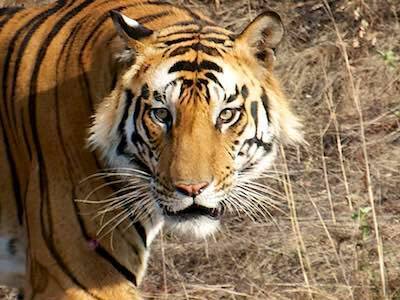 Wildlife viewing by boat safari. 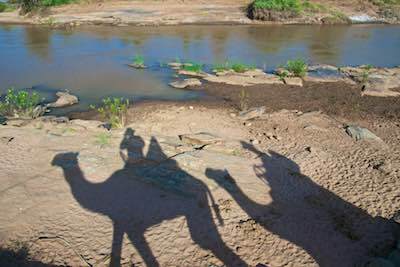 Nature walks, walking safaris & fly camping. Zanzibar: World Heritage listed Stone Town & Swahili coastal culture. White sand beaches, snorkelling & diving. OPTION - Pemba Island: for a remote, barefoot island paradise that sees few visitors, swap Zanzibar for Pemba. 2 Transfer to the airport. 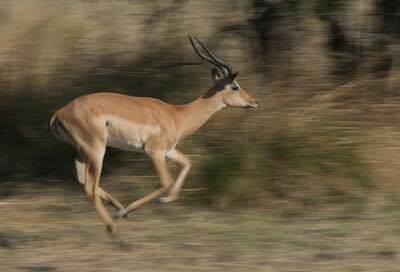 Morning & afternoon or a full day of game drives in Ruaha National Park, following the Great Ruaha River. 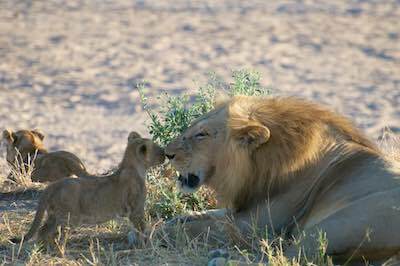 See amazing concentrations of wildlife around the Ruaha & Mzombe Rivers, including lions, elephant & buffalos. FLY to Zanzibar. 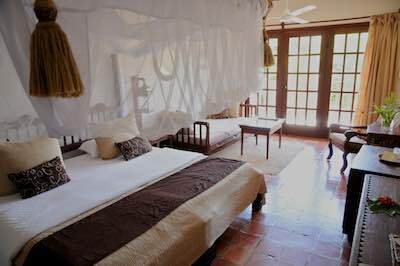 Stay in Stone Town so you can enjoy the Swahili Culture and wander the World Heritage listed winding streets. 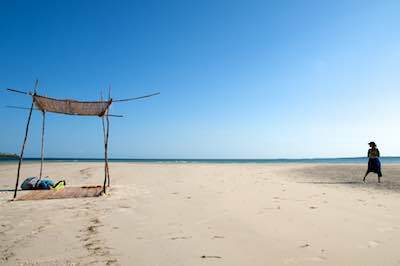 Or you can head for the white sand beaches where you can relax and unwind after your safari. Day at leisure, with lots of optional activities available on Zanzibar, such as: Tour of Stone Town, Spice Farm Tour, Jozani Forest tour where you can see endangered Red Colobus monkeys, snorkelling, scuba diving Mnemba Atoll - or simply relax! 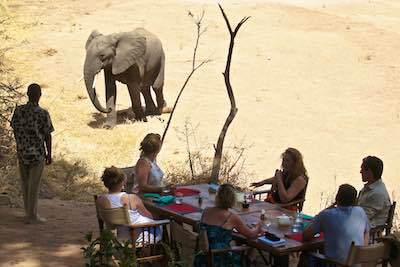 RUAHA EXTENSION OPTION: Love the idea of a walking safari, and staying in a mobile camp in the remote wilderness? 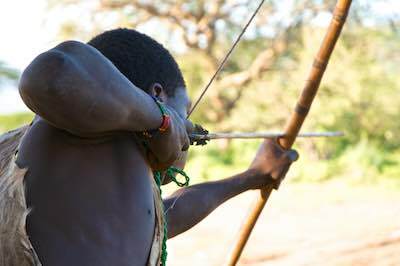 Ask us about including a 3 night Kichaka Explorer Walking Safari. 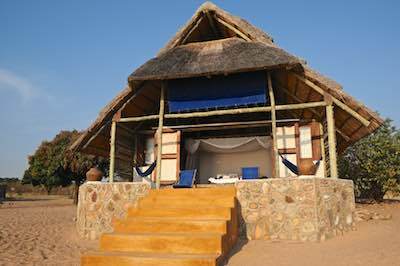 EXTENSION OPTION: Lake Tanganyika Diving, min 4 days - see 'Extensions' tab for more information. Highlights: Zanzibar diving, Mafia diving & whale sharks, Pemba wall diving. Is this for me? For the scuba diver that wants a taste of all Tanzania's Island diving highlights. Zanzibar: Mnemba Atoll Marine Park. Coral gardens. Stone Town Swahili culture. Red colobus monkeys in Jozani forest. Spice Farms. Mafia Island: Chole Bay. Marine Park with excellent diving. Turtles, reef sharks. 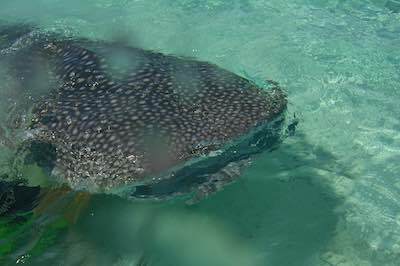 Snorkel with whale sharks in season. Pemba Island: A remote, barefoot island paradise. Pemba Channel, exhilerating wall drift dives, Misali Island. 1 Arrive in Zanzibar. Transfer airport to hotel. Relax & prepare for the coming days of adventure. 2-4 Zanzibar - up to 6 dives total, as per local weather and tidal conditions. Diving on Day 4 restricted to morning. Zanzibar's most famous dive sites are off Mnemba Atoll, where there are beautiful coral gardens, and you have a good chance of seeing turtles. For the advanced diver, Leven Banks is an excellent dive with large pelagics - but only reachable in good sea conditions. 5 Transfer from your hotel to Zanzibar Airport. FLY Zanzibar - Dar es Salaam - Mafia. 6-8 Mafia - up to 6 dives total, as per local weather and tidal conditions. Mafia Island Marine Park was Tanzania's first. The diving around Mafia's Chole Bay is arguably the best in Tanzanian waters. Large schools of reef fish, good chances of seeing turtles & even white-tipped reef sharks. Diving here is suitable for novice to advanced divers. In season, up to 2 whale shark snorkelling trips. Whale sharks aggregate as little as 200m off the western shores from Nov-early March. You can snorkel with these gentle giants - we frequently see several per trip, and as many as 14 in one 2 hour trip! 9 Transfer to Mafia Airport. FLY Mafia - Dar - Pemba. 10 -11 Pemba - up to 4 dives total as per local weather and tidal conditions. 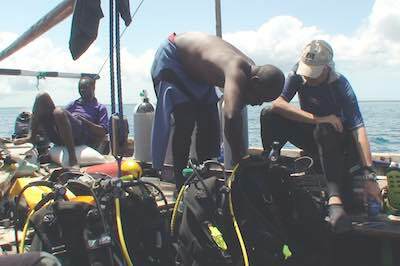 Pemba diving is exhilarating for the advanced diver, particularly off the northern tip where the currents are often strong. There are steep wall drop-offs, sea mounts & sea ridges to explore - recommended only for the advanced diver. For the novice & advanced diver alike, Misali Island has beautiful coral gardens, as well as small wall dives with a relatively light current. FLY Pemba - Zanzibar. Catch your international flight home. Explore different parks or regions, focus on particular species, relax by the beach, go scuba diving, discover local culture... it's your choice. Below are some ideas. Contact us for specific recommendations just for you. Love marine life? 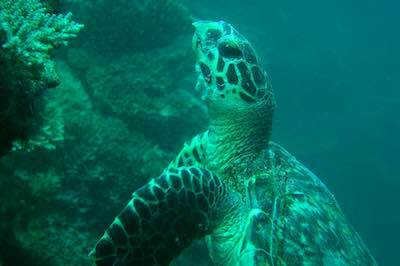 Want to go diving, see whale sharks & turtles? If you're a water baby & love marine life, then head to Mafia Island. Mafia Island Marine Park was Tanzania's first Marine Park, and the most successful, with turtles & white tip reef sharks as regulars. In season, you have the chance of swimming with the world's largest fish - the incredible whale shark, measuring up to a whopping 18m! You are almost guaranteed to see turtles in the ocean, and in season, turtles hatching. This is a laid-back tropical paradise for those that appreciate nature. If relaxing on a white sand beach is more your style, head to Zanzibar. Incl. flights from Dar es Salaam, transfers, accommodation, breakfast. From US$ 670 pp for 2 nights. Want to head to a remote, tropical island & maybe go diving? 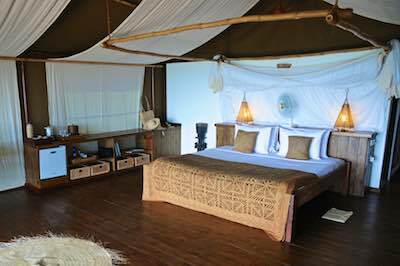 Head to Pemba for a truly chilled out, relaxing end to your safari. 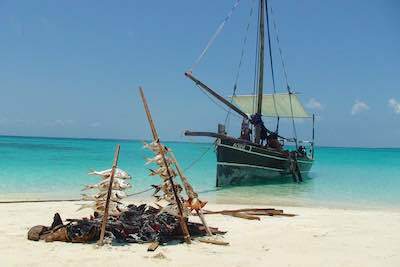 Pemba is a destination for those looking for a Robinson Crusoe style 'barefoot paradise'. 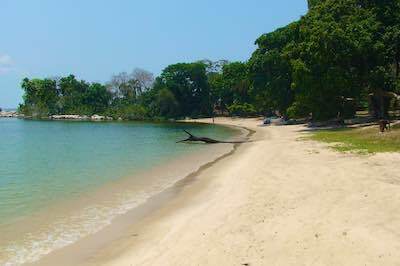 Aqua blue waters & beaches that retain their indigenous mangrove forests. 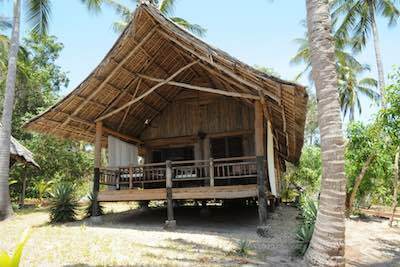 Fundu Lagoon is a favourite for romantic escapades & Honeymoons. The perfect place to relax and do nothing, or go snorkelling/ diving at Misali Island. 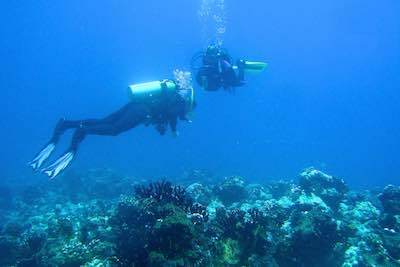 The northern tip of Pemba is an excellent destination for Advanced Scuba Divers that enjoy vertical walls, sea mounts, ridges & sometimes fast currents. From US$ 795 pp for 2 nights. 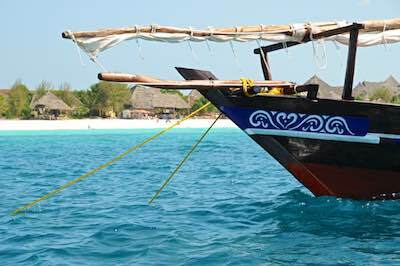 Want to visit famous Zanzibar for culture & white sand beaches? From US$ 498 pp for 2 nights. Love going remote & unique? 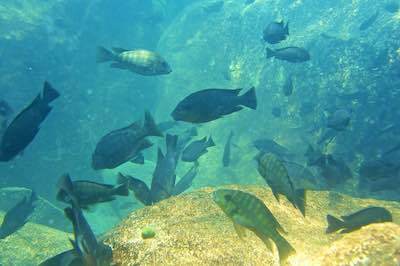 Want to dive & see cichlid fish? One of the world's largest & deepest freshwater lakes, and one of Africa's Great Lakes. This is a rarely visited, remote and beautiful lake in Western Tanzania, which we highly recommend. You'll be amongst only a handful of visitors there at any one time - there are only 2 small places to stay. If you're a scuba diver or a cichlid fish enthusiast, you'll know this is a must-do. There are over 250 species of cichlids here, with a high level of endemism - aquarium keepers love Lake Tanganyika species for their bright colours. 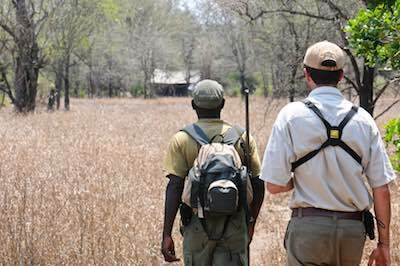 You also have the option to extend & go to Katavi National Park for its excellent wildlife, or beautiful Mahale Mountains National Park to trek to see chimpanzees. Incl. flights from Arusha or Dar es Salaam, transfers, accommodation, most meals. From US$ 2,498 pp for 4 nights. Been to Africa before? 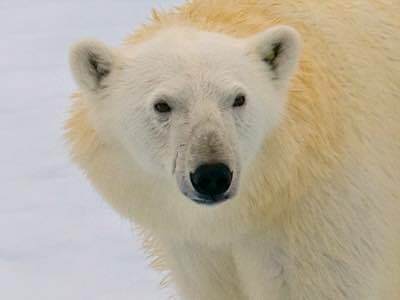 Want remote, untouched and different wildlife? 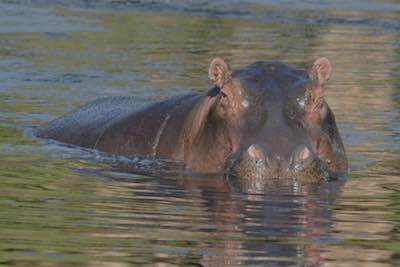 We also offer safaris to Mahale & Gombe Stream where you can go trekking in the forest to see chimpanzees, and to Katavi for its great wilderness & high wildlife concentrations during the dry season. Mahale & Katavi make a great combination for a rich & varied experience. These are all incredible safari destinations for connoisseurs, and highly recommended. Incl. flights from Arusha or Dar es Salaam, transfers, accommodation, meals, activities, park fees. From US$ 3,495 pp for 4 nights. So what's the difference between a luxury vacation and an even more luxurious or exclusive one? in a classic or adventure camp style. Food is of a high standard. Set in areas with good wildlife viewing. 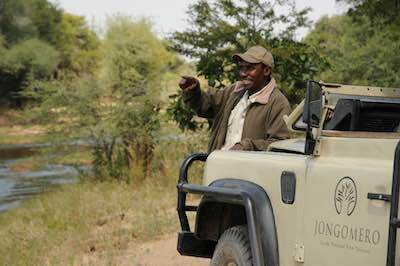 Driving safaris will be in a private 4x4 vehicle. 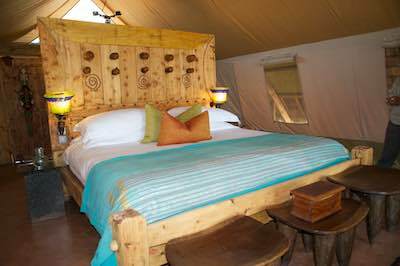 Small & intimate lodges or camps. Very best locations for wildlife viewing. Often in remote, exclusive locations. Inclusions: All your accommodation, most meals, wildlife viewing activities in quality 4x4 safari vehicle with qualified Driver/Guide, all internal flights, all airport transfers, all park & conservation fees. 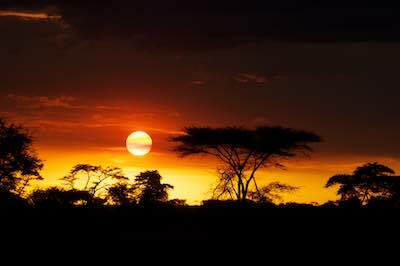 Q: When is the best time to go to Tanzania? It may sound like a cliché to say that there is no bad time to go, however, it really is true - we know, we're there at all times of the year! There is always something happening; animals don't disappear because it's raining, although they do disperse into different areas. The exception here is the remote south & west - although the rainy season is a great time to go, most lodges & camps close down because of the difficult logistics involved with long distances, impassable dirt roads, and wet airstrips! If you're constrained to travelling at a particular time, don't worry: we'll recommend the best places & parks - and the best locations within the the parks - to visit at that time. If you have specific interests - such as seeing The Great Migration in the Serengeti, or whale sharks off Mafia Island - then you do need to travel at the right time of year, AND to the right area. A month of mass wildebeest calvings in the Serengeti/ Ndutu short grass plains: up to 8,000 calves are born each day. Lots of bounding, wobbly legged wildebeest calves are a sight to behold! 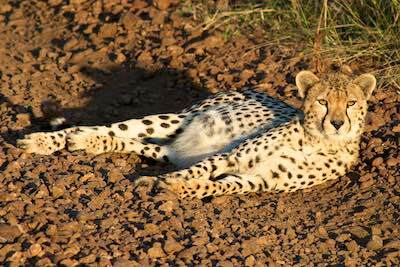 High predator densities & excellent lion, cheetah & hyena sightings. The Wildebeest Migration is spread out over Serengeti's short grass plains, where they bring up their newly born calves. Southern & Western national parks are closed for this season. Wildebeest start to gather and head into the western corridor of the Serengeti, heading northwards towards the end of the month. Dry season, starting off cool & warming up towards the end of the period. During July, more wildebeest head north into the Masai Mara, moving backwards and forwards across the Mara River, between Kenya's Masai Mara & Tanzania's Serengeti. At the start of this period, the Great Migration starts to head south once again, through the northern Serengeti to the southern Serengeti's short grass plains.